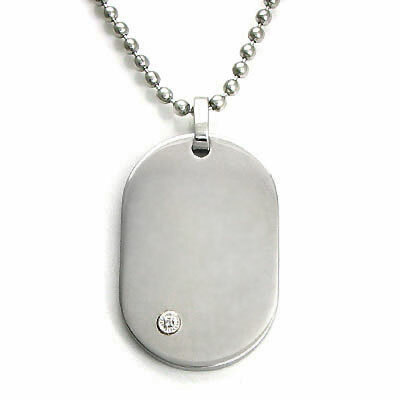 Round dog tag pendant with a round brilliant cut diamond. This piece is part of the NITROGEN collection from Aurafin. It comes with a 20-inch stainless steel bead chain. This piece is simple yet it shows a bit of shine. Good if you like chains but nothing too big.